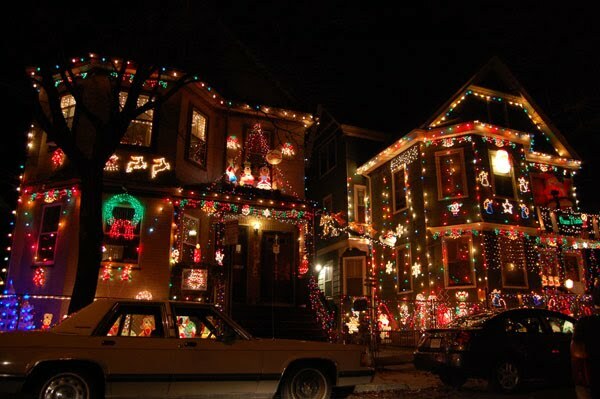 Come celebrate the folk artistry of residents who transform their houses and yards with lights, illuminated ornaments, and shrines of devotion and fantasy. 45 minute Trolley Tours leave from (and return to) Somerville City Hall where coffee, hot chocolate, and cookies are served. In addition, craft activities for children and changing annual events. 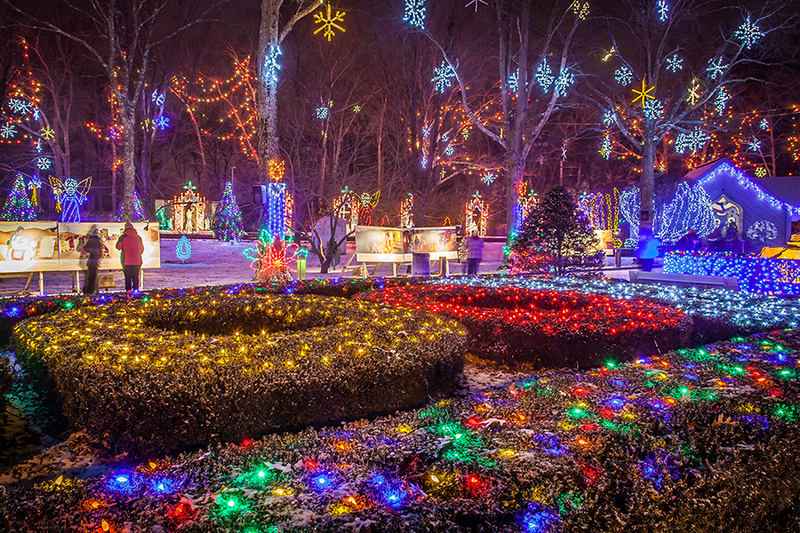 ZooLights promises to dazzle visitors of all ages. 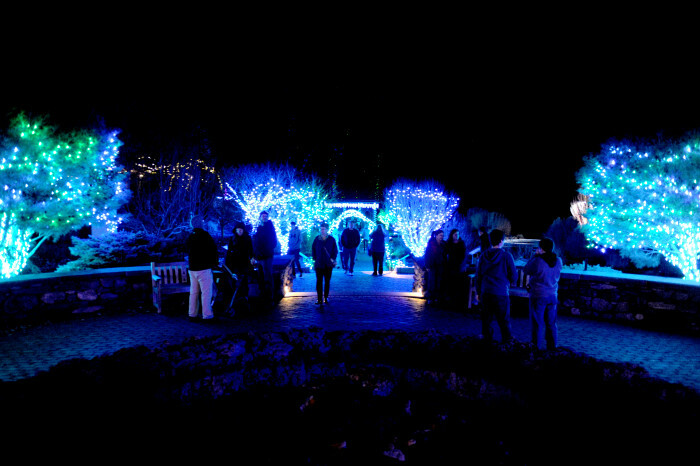 Enter a winter wonderland of tree-lined paths lit by thousands of twinkling lights. 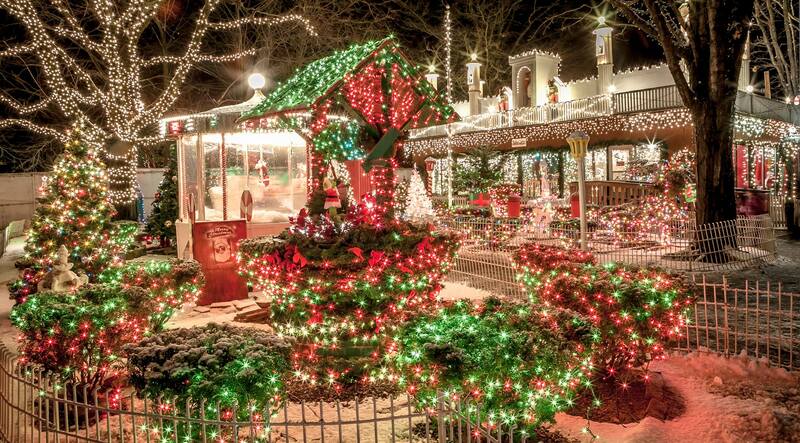 Stroll through festively decorated Yukon Creek, home to bald eagles, Canada lynx and reindeer. Blink! 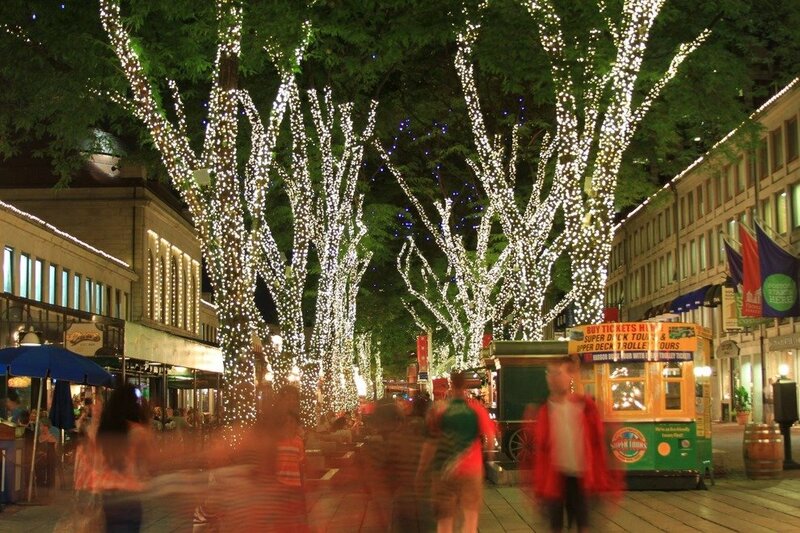 - the state-of-the-art light and sound extravaganza that transforms every inch of America's first open marketplace - returns to Faneuil Hall Marketplace and Marketplace Center for a fourth year. This magical and unforgettable light show uses over 350,000 LED lights to illuminate Boston's skyline - to the song stylings of the Holiday Pops - in a seven-minute spectacle that runs continuously each evening beginning November 20th. Traffic can get very heavy on weekends, especially Saturday night. If you can plan your trip for a weekday, you will find easy entrance. If you do wish to go on the weekend, they advise you get there before 4:30 PM to miss the traffic. 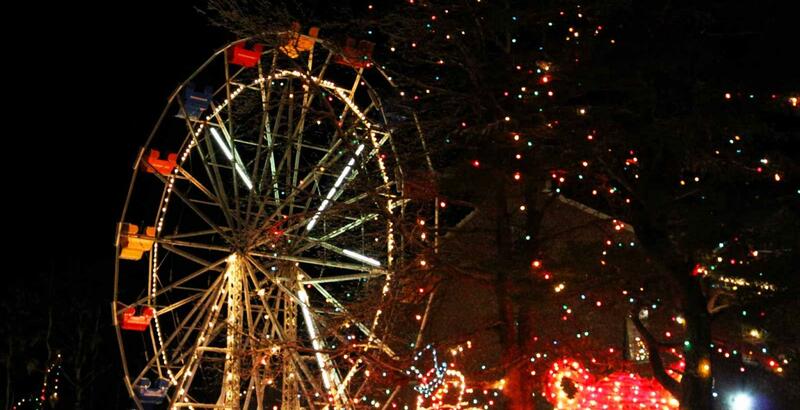 Edaville USA’s most memorable New England Tradition is back this year with over 17 million lights illuminating the park! 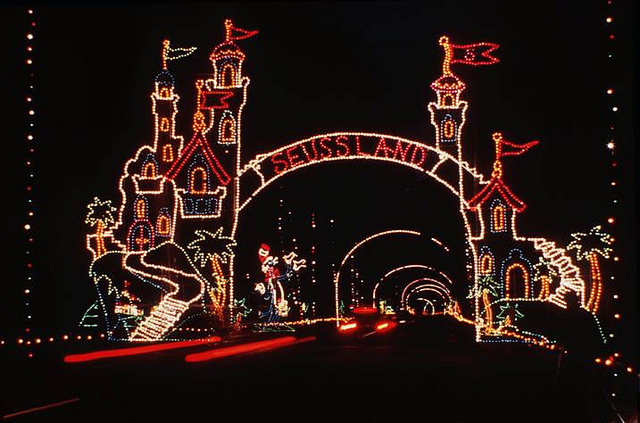 You and your family can enjoy Edaville USA’s 3 Adventures in 1: Edaville Proper, Thomas Land and Christmas Festival of Lights featuring over 90 rides and attractions!